Last year I shared with you my ultimate beach reads and this year, I plan to do the same. I'll try to not have any repeats. Plus, my favorite bloggers shared their beach reads. Check out Part I and Part II of this fun post. I loved reading their responses. Here are my picks for beach reads for this summer and my 2011 Summer Reading List! YA Mind-candy and Fantasy: If you are looking for an imaginative read where you get lost in the world that the author creates, you must check out these novels. 1. 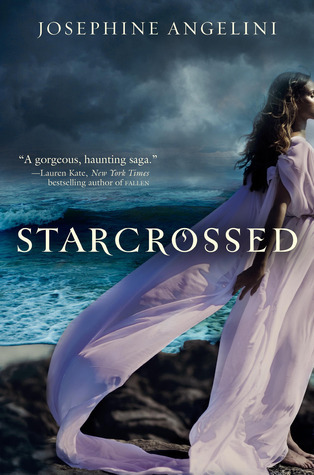 Starcrossed by Josephine Angelini- Who doesn't love a little Greek mythology? 2. Unearthly by Cynthia Hand- This is the BEST angel book I've read to date. 3. Shade series by Jeri Smith-Ready- I love this series! It's so unique and involves ghosts. 4. Paranormalcy by Kiersten White- One of my favorite books of 2010 with a fun protagonist! YA Historical Fiction: I love "going back in time" and these books will take you to some interesting time periods. 1. Turtle in Paradise by Jennifer Holm- Guys, I can't say enough about this Newbery Honor winner that takes place in fabulous Key West. 2. Steel by Carrie Vaughn- Who doesn't like pirates, rum and the Caribbean? 3. 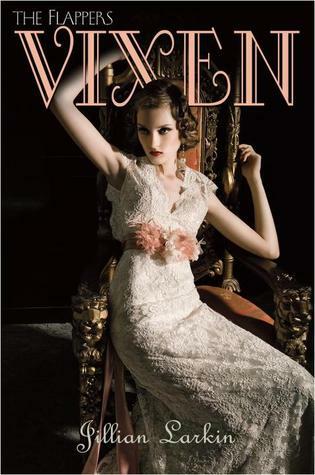 Vixen by Jillian Larkin- Two words for you.....Roaring Twenties. This one is steamy! 4. Bright Young Things by Anna Godbersen- While I didn't enjoy this series as much as the Luxe series, I can't deny that it was pure entertainment. 5. Revolution by Jennifer Donnelly- If you haven't read this one yet, you must add it to your book bag. It's one of the young adult historical novels that I've read in a long time. 1. 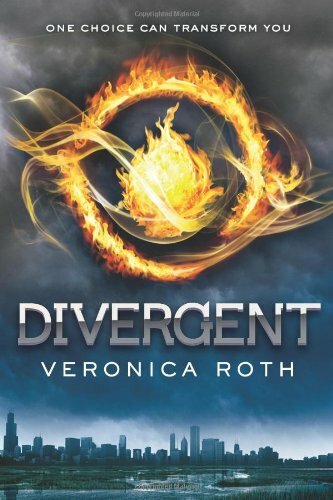 Divergent by Veronica Roth- Unless you have been living under a rock, you know how addicting this book is. Check out my giveaway here if you haven't gotten your hands on a copy yet! 2. Wither by Lauren DeStefano- I loved the world that DeStefano creates in this addicting read. 3. Life as We Knew It by Susan Beth Pfeffer- I'm always surprised by how many people aren't familiar with this series. My students love it! YA Realistic Fiction: The following books are perfect when you are sick of vampires and other supernatural creatures and just want to keep it real! 1. The Boys Next Door by Jennifer Echols- You know how much I love the Summer series and I thought this one was going to be too similar, but it wasn't. It was a lot of fun and the perfect beach read! 2. Amy and Roger's Epic Detour by Morgan Matson- If you love road trips, you'll love this book! 3. Summer of Firsts and Lasts by Terra Elan McVoy- Summer camp! Need I say more? 4. Twenty Boy Summer by Sarah Ockler- This was a powerful summer read. If you are looking for a summer read with substance, I recommend this one! 5. 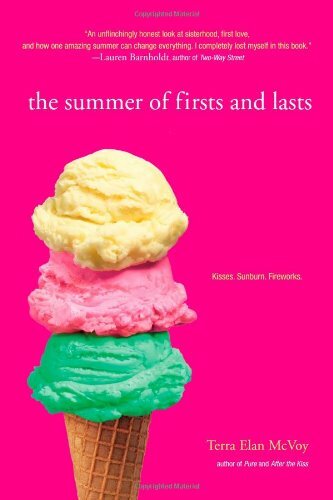 The Summer series by Jenny Han- How could I not include my favorite series of ALL TIME on this list? Books I Recommend To "Adult" Readers: I'm always pushing these books on my friends that aren't necessarily "YA" readers. 1. Jessica Darling series by Megan McCafferty- This series is incredible and I like it a lot more than her most recent book, Bumped. I haven't read the fifth and final book in this series yet, because I am so nervous. I want the ending to be perfect! 2. 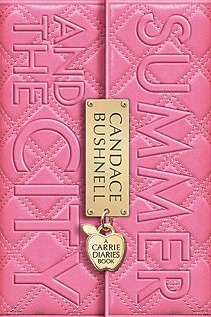 The Carrie Diaries by Candace Bushnell and Summer and the City- Fans of SATC will devour these books. 3. Seventeenth Summer by Maureen Daly- If you want to be taken back to a simpler and less complicated summertime, this is the book for you. It was one of the first YA novels to be published back in 1942. Books With Amazing Settings- If you are staying home this summer and want a book to take you away to a beautiful location, you must check out these reads. 1. Sixteenth Summer by Michelle Dalton- I loved this idyllic beach community outside of Savannah, Georgia. A perfect summer beach read if you ask me! 2. Sweet Life by Mia King- I know I included this one last year, but hello?! A book that takes place in Hawaii and includes authentic recipes is a staycationer's dream! 3. Anna and the French Kiss by Stephanie Perkins- Paris? Yes, please! 4. 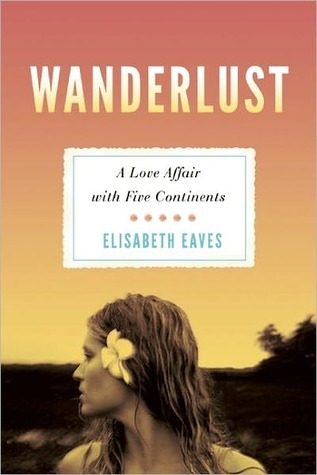 Wanderlust by Elisabeth Eaves- I am currently reading this one now and it's a memoir all about Eaves' exotic travels. Love it! And now onto my 2011 Summer Reading List! I can't wait to add these books to my beach bag, because most of them I have been meaning to read, but never got around to them during the school year. Let me know what you think about my 2011 Beach Reads and my Summer Reading List. Have you read any of these books? Should I add any to my list? Let me know! Fantastic list! I definitely agree with a lot of these. Amy & Roger's Epic Detour, Anna and the French Kiss, Twenty Boy Summer, and Sixteenth Summer especially. Books I can't wait to add to my "beach bag": Instructions for a Broken Heart, and Moonglass, as well as some that didn't make your list: Jazz in Love, Summer in the South, and Summer Rental. I see many on these lists I need to try. Wow! Thanks for the extensive lists. There is something for everyone. Thanks for sharing. Awesome recommendations -- I feel like I should bookmark this post! I've been dying to read Vixen based on cover alone forever, and Divergent has been getting so much buzz that I think I better hop up on the reading train before I get left behind. Anna and the French Kiss is such a lovely book. Great list! I just finished reading Amy & Roger's Epic Detour and I adored it! I want to go on a US road trip now! I can't wait to get to Summer and the City - I loved the first book. Should be reading this one soon!